One brisk morning, a man was told that there were cries coming from a dumpster on his property by a neighbor. When he opened the lid, he saw a scampering blur. It was hard to tell in the dirty, dark depths of the container exactly what it was. Then the tiny apparition let out a mew: she was a tiny, scared kitten. The homeowner quickly made a lifesaving call to the local animal shelter. Within minutes, Gina Lepine, animal behaviorist at North Fork Animal Welfare League, was assessing the situation. 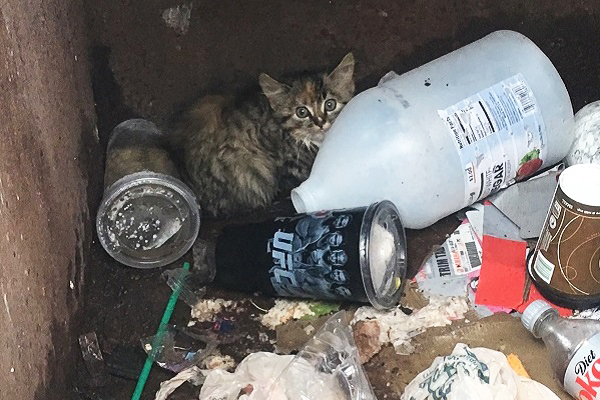 Since the kitten was at-risk, she jumped right in the dumpster to rescue the frightened feline. Whether you live in a bustling city or a rural enclave, chances are you’ve encountered a similar situation. 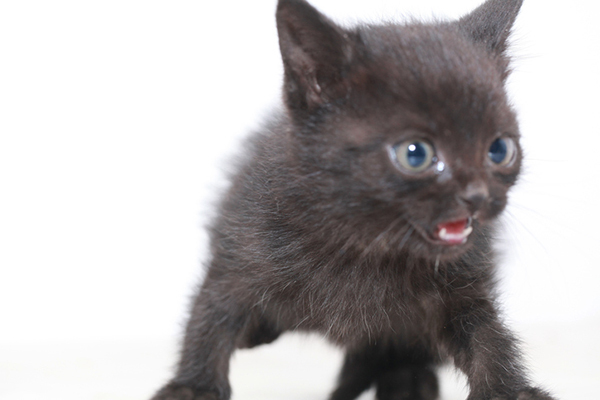 Here’s how to approach a scared kitten if you find one. 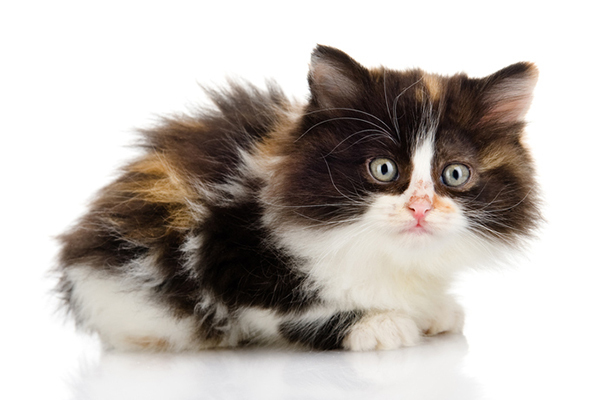 So, you’ve found a scared kitten, now what? Sunshine was a scared kitten who was found in a dumpster! Photography courtesy North Fork Animal Welfare League. “The first thing you should do if you find any animal in distress is to call your local shelter,” Lepine says. Many municipal animal shelters, like the one in Southold, Long Island, where Lepine works, partner with nonprofit animal agencies to help animals at-large, especially community cats (aka feral cats). A stray kitten could be a community cat separated from her mother. Or she could be the offspring of a house cat abandoned by an irresponsible owner. Either way, the scared kitten needs assistance right away. Use these steps to soothe a scared kitten. Photography ©OlegMalyshev | Thinkstock. Move slowly. “Any time an animal is ‘found’ she may be frightened,” Lepine advises.“Panic will ensue if you rush toward an already-frightened animal.” Definitely don’t try to swoop in on her. 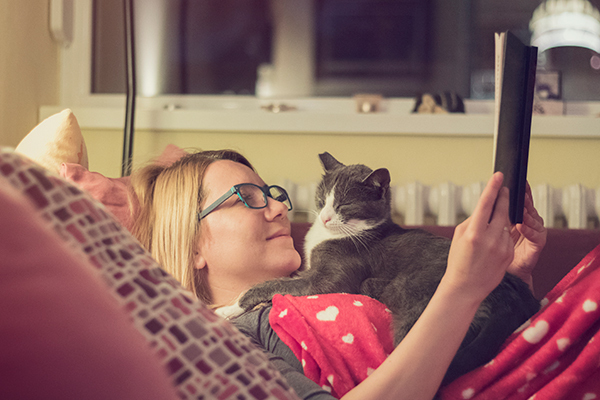 Make your eyes soft and don’t stare directly at the cat. Lepine uses sideways glances to help assess the situation and determine the next best steps. She also recommends slow blinking to gain trust. Make yourself look smaller. 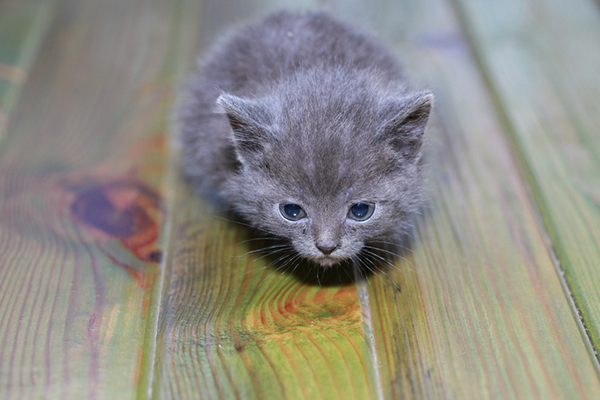 Don’t stand or loom over the kitten — crouching down will make you appear less threatening. Soften your voice. Don’t shout around the scared kitten. “Talk like you’re talking to a small child,” Lepine says. If it’s a noisy area, don’t try to yell over the commotion. Rescuing Sunshine the scared kitten from a dumpster. Photography courtesy North Fork Animal Welfare League. Donna Baldridge, a freelance trapper, has been doing Trap/Neuter/Return (TNR) for almost two decades. She’s helped hundreds of scared kittens and recommends using a humane trap to safely contain the skittish kit. If your local animal shelter does not lend out traps, find a nearby feral cat organization that does. What are the signals that a kitten is scared? “You can tell quickly if the kitten is scared if she’s totally frozen or hissing and spitting,” Baldridge says. Even if the kitten doesn’t try to run away, it doesn’t mean she’s comfortable. Safety is so important for the kitten and the rescuer, so again, don’t try to pick up any unknown kitties. Using wet food can usually lure the kitten into the trap. “Microwaving the food makes it stinkier,” recommends Baldridge, for trap-savvier kittens. 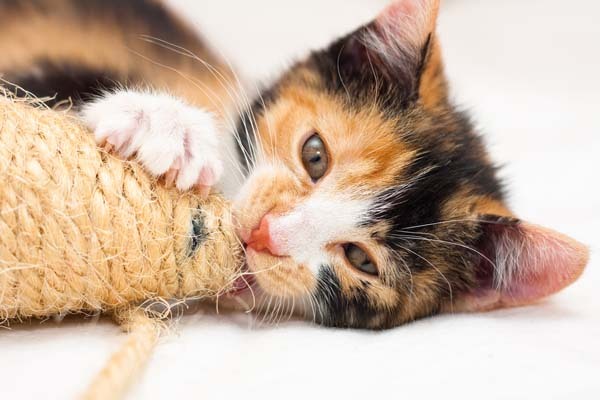 If the scared kitten isn’t in immediate danger and is avoiding going into the trap — feeding the kitten in the trap for a few days can get her acclimated enough to be able to close the door. Remember, don’t stick your fingers in the trap! 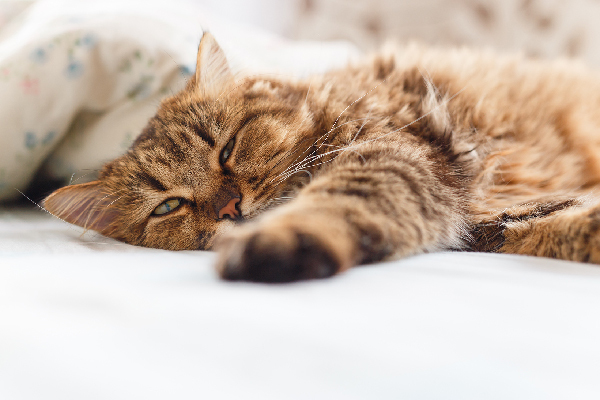 “Cat bites can be severe,” Baldridge says. Now that you’ve trapped the scared kitten, what should you do next? What are your next steps after humanely trapping the scared kitten? Photography ©OlegMalyshev | Thinkstock. Keep the kitten confined in a large dog crate. Put food, a small litter box and a “den” in there with a blanket and a stuffed animal. If you don’t have a crate, keep the kitten in a small room. 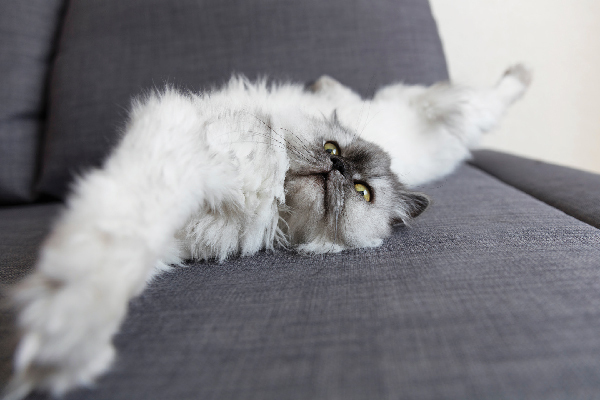 Make sure it’s “cat-proof” and block any entries to places she can hide (like under beds or dressers). Leave the kitten alone. Don’t try to pet her or chase her. This is especially important during the first 48 hours. Wait for the kitten to settle down and then start socializing her. Sunshine after her rescue. Photography courtesy North Fork Animal Welfare League. 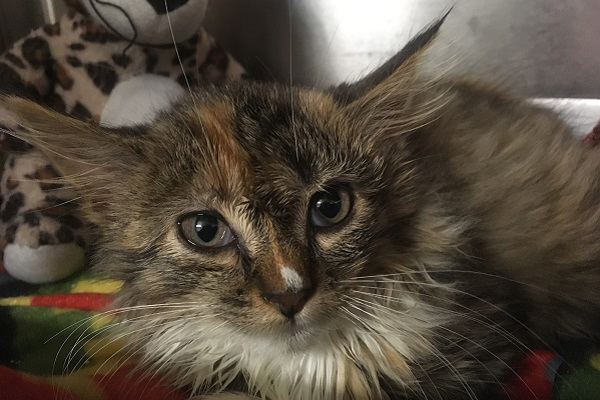 As for that scared kitten trapped in a dumpster — she warmed up right away once in the caring hands of NFAWL’s shelter employees. She’s been dubbed Sunshine and has been adopted by a loving family. Thumbnail: Photography ©photodeti | Thinkstock. Probably because the dumpster was scheduled to be emptied soon. Or so that other folks wouldn’t throw more trash on top of it. The article did not say WHY the kitten was at risk. Considering how scared that poor kitty was, why would a “specialist” JUMP RIGHT IN THE DUMPSTER?? I would think the person trying to rescue a kitten would go a little more slowly.